From adding the mixture to set up the baking temperature, there are lots of things you do when baking a cake. 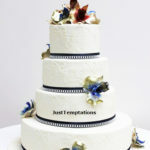 Unfortunately, if the cake is not baked as you wanted it to be, it becomes essential to know what went wrong so that you can prevent it from happening again. Your several bad habits and less knowledge equally influence on your cake recipe to detrimental effect. Here are common cake baking mistakes and their solutions. An overly dense cake is caused by too much liquid, sugar and too little leavening. So, you should use the wet measures for wet ingredients and dry measures for dry ingredients. Check your baking soda powder freshness as well as check your oven temperature to ensure it is hot enough. Improper mixing causes the holes in the cake. You can cover the holes with frosting but to prevent them consider the mixer method which you are using. According to your recipe, you need a hand mixing. Standing mixers are efficient, but they mix too quickly. 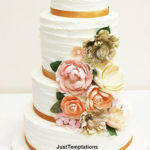 If your cake recipe involves the ingredients that absorb moisture like flour or you over-bake your cake, it may get dry. Ensure to measure the flour and other ingredients accurately. Follow the right temperature required to bake your cake and avoid over baking. 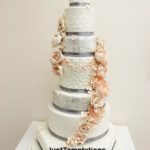 Over-mixing and wrong type of flour cause toughness in the cake. So, mix your cake as per the requirements of your recipe. Follow the tips mentioned above to bake a delicious cake. 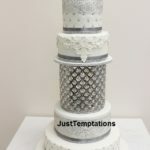 If you want to taste cake rather than making it on your own, then contact us at Just Temptations. Our wide assortment of flavors is sure to tempt any taste buds. Order Today!